I have a tip for all of you moms of dancers. You’re going to assume it’s because I’m a dance photographer that I wrote this. That it’s to get more money in my pocket. But no. Part of the reason I am a dance photographer is because of this very thing. My request: order pictures of your children dancing each year. When I was in ballet, my studio didn’t do pictures. I’m not sure if others did at that point or if it’s because it was a small studio (we started in her basement for the first few years). But that means I have so few pictures of my time in ballet and en pointe. 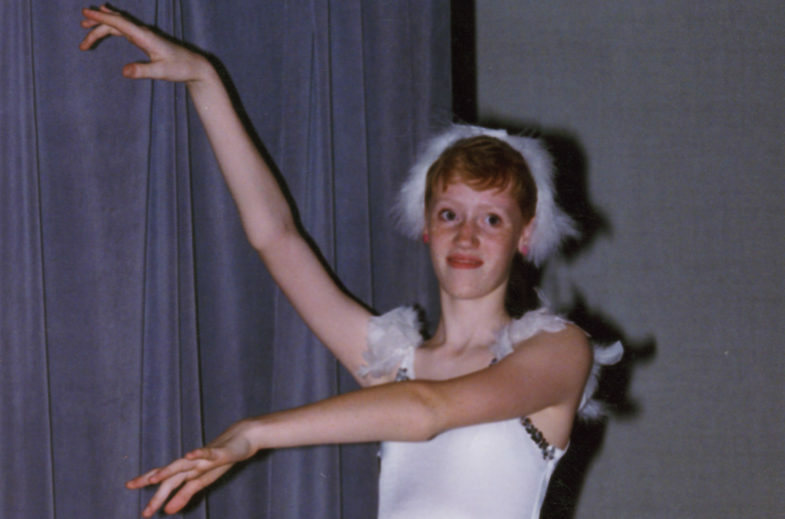 And as much as I am loving being in ballet now, It’s not the same as when I was 12 and had dreams of being the next Maria Tallchief (her height inspired me tremendously). So make sure your kids go to photo day. If you don’t do it for them now, do it for them when they’re moms and their kids start dancing and they realize that they’ve joined the generation of dance moms and that their dancing days may not be over, but will never be the same.